The death came after increasing numbers of shark sightings and warnings about the danger of the predators off Cape Cod waters this summer, and followed an attack on Aug. 15 that severely injured a 61-year-old New York man. 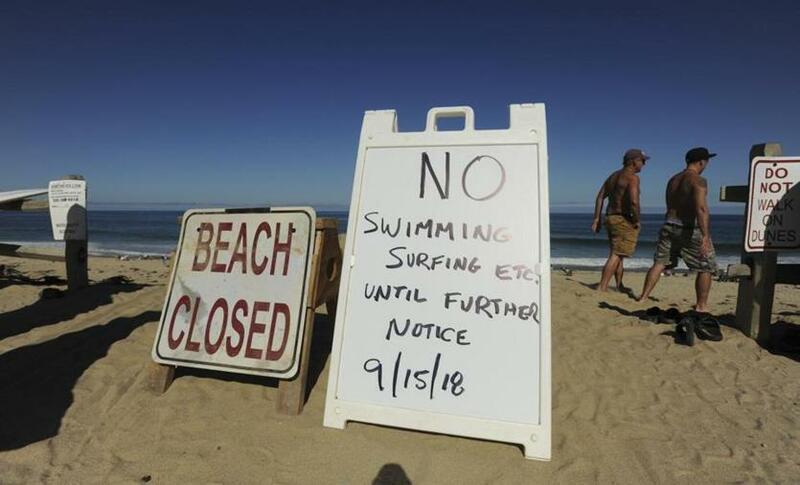 The man, identified Saturday night as Arthur Medici, was boogie boarding about 300 yards south of Newcomb Hollow Beach in Wellfleet when a shark attacked him around 12:15 p.m., according to authorities. The warm day had attracted hundreds of people to the beach. Joe Booth, a local fisherman and surfer, said he was on shore when he saw the man and a friend boogie boarding as the attack happened. He said he saw the man aggressively kick something behind him and a flicker of a tail from the water. He realized what was happening when the friend came ashore dragging the injured man. The incident marked the first fatal shark attack in Massachusetts in more than 80 years and only the fourth recorded in state history. A California man, who asked not to be identified, said he saw two men in their 20s not far from shore. Later, he noticed a commotion down the beach — someone was screaming and pointing toward the water, where one of the men was trying to pull the other to shore. The California man began running toward the victim, who was unconscious and bleeding heavily from his right leg, he said in a phone interview. Though he had no experience tying a tourniquet, the California man pulled a cord from a nearby boogie board and attempted to use it to stanch the bleeding. Someone realized that the victim was not breathing, and a woman tried to perform CPR, the California man said. A group of about a dozen people formed around the man. Another witness said someone had cut the victim out of his wetsuit and there were tourniquets on both legs made from boogie board cords. “He was pale white,” the man said. Videos posted online by a witness show a large group of police and swimsuit-clad beachgoers carrying a motionless figure on a stretcher across the sand after the attack. Speaking hours after the attack, the California man said he was shaken by the experience. “I’m still thinking it through,” he said. The victim was taken to Cape Cod Hospital in Hyannis, where he was pronounced dead, according to State Police spokesman David Procopio. 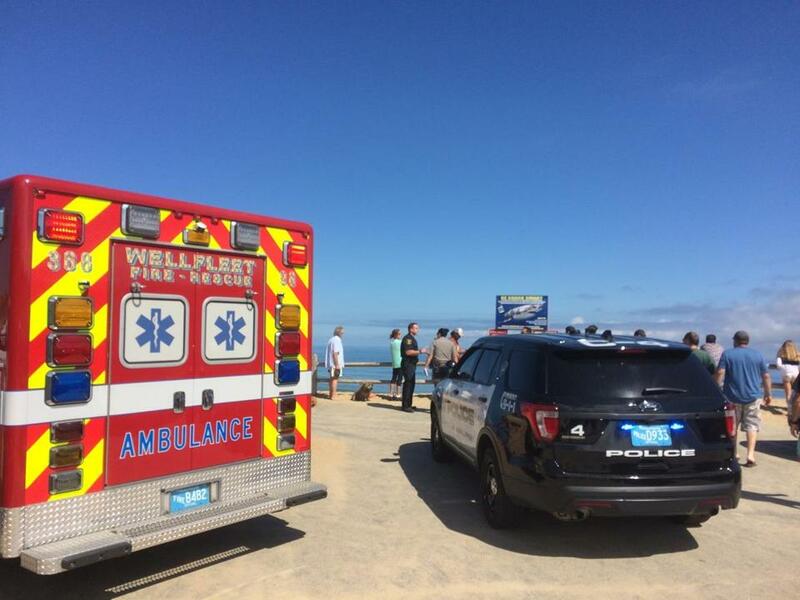 Police and paramedics responded to Newcomb Hollow Beach in Wellfleet on Saturday after the attack. Lifeguards are posted at the beach during the summer, but they are no longer present after Labor Day, according to Lieutenant Michael P. Hurley, a Wellfleet police spokesman. Sharks are drawn to the waters off the Cape by hundreds of seals. State Senator Julian Cyr said Cape residents have seen the number of shark sightings increase as the local seal population has rebounded in recent decades, after the sea mammals were given federal protections. As concerns have mounted, officials have placed signs at the popular beaches warning beachgoers to be cautious. Massachusetts last logged a fatal shark attack on July 25, 1936, when 16-year-old Joseph C. Troy, was attacked off Hollywood Beach in Mattapoisett by a 6-foot shark that seized his left leg and dragged him underwater, according to contemporary accounts. Earlier this summer, a New York man swimming off Longnook Beach in Truro was attacked by a great white. Dr. William Lytton, 61, was swimming in about 8 to 10 feet of water off the Truro beach when the shark struck on Aug. 15, clamping down on his leg for about 20 seconds. Lytton has undergone at least a half-dozen surgeries and is healing at Spaulding Rehabilitation Hospital in Charlestown. In 2012, Chris Myers was bodysurfing about 400 feet off the shores of Ballston Beach in Truro when a great white attacked him. The bite left four deep puncture wounds on each of his legs that required 47 stitches, and Myers sustained severed tendons in his left leg. Cyr, a Truro Democrat who represents Cape Cod and the Islands, said by phone from the Cape that he and State Representative Sarah K. Peake, a Provincetown Democrat, would work to see that local authorities have “whatever resources” the state can provide in the wake of the tragedy. He said officials should examine preventative measures, communication with beachgoers, and emergency response times going forward, but already beaches on the outer Cape have highly visible warnings and information about the presence of sharks. Signs at the top of the dune at Newcomb Hollow Beach alerted visitors that the beach was closed to swimming Saturday. Wayne Davis, a longtime fisherman and a spotter pilot for shark researchers, said in an interview before Saturday’s tragedy that the current practice of thinking that sharks are present only when seals are nearby does not match what he has seen from the air. Davis said that while flying earlier this month, he spotted at least 40 sharks in one day, including eight solo sharks off the shores of Nauset Beach as he was making a wide loop with his plane. After the tragedy, Newcomb Hollow Beach was closed to swimming. Wellfleet Police and State Police from the Cape and Islands Detective Unit are investigating, Procopio said. A crowd remained at the edge of the parking lot as the dunes cast shadows over the beach Saturday evening. A handful of beachgoers walked dogs and took photographs along the water line, despite numerous signs saying the beach was closed, and seals could be seen popping their heads up from the surf. A memorial of a bouquet of flowers and a small American flag had been placed on a dune near the sandbar. John Ellement of the Globe staff and Globe correspondent Alejandro Serrano contributed to this report. Material from the Associated Press also was used in this report. Jeremy C. Fox can be reached at jeremy.fox@globe.com. Follow him on Twitter @jeremycfox. Maddie Kilgannon can be reached at maddie.kilgannon@globe.com. Follow her on Twitter @MaddieKilgannon. Lucas Phillips can be reached at lucas.phillips@globe.com.